Guida per aiutarvi a trovare la migliore soluzione per controllare la vostra Casa a Distanza direttamente da iPhone e altri Smartphon. Power Line Communication (PLC) is a communication technology that enables sending data over existing power cables. Why is it useful in video surveillance? 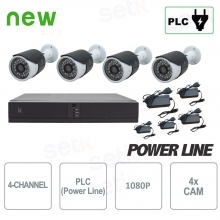 The PLC technology sends data to and from cameras and recorders using only power cables. This means that the installation is easier, since you don’t need dedicated cables. What are the advantages of PLC? 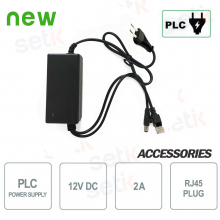 Buying items with PLC technology means securing yourself with quality systems without having to redo power lines, which is important especially in case of old buildings in which renovating is not always easy. Take advantage of the Setik PLC promotion or contact us visiting the dedicated page to request more information on this technology!